Creating a STEM (Science, Technology, Engineering, Math) or STEAM (the A is for Arts) coding lab activity can seem pretty daunting if you have NO IDEA where to start. 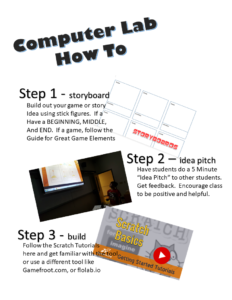 Let me help you and provide the resources to take on this task and create a coding lab for your students that will teach logic skills and have some fun. I have been in the situation where I was given a task to teach something new and then spent way too much time looking for resources on the web. I always wanted to find a bundle that would provide the tools necessary to create a fun and challenging activity. A STEM activity for any situation! Having struggled with finding something, I created one and have been using it for over ten years in the classroom, camp, tutoring and weekend or afternoon event. It is a fun and challenging activity bundle that you can use “as is” or add your own teaching ingredients! Are you a teacher and have you been assigned a STEM/STEAM oriented responsibility but are not sure where to begin? This is a perfect activity bundle. All these skills are necessary for the current job market and the market that is coming. Even if the student doesn’t want to be a coder, developing these problem-solving skills is a must for every person. The materials are for anyone looking to teach fundamental logic and coding skills that incorporate STEM/STEAM concepts. They can be used in a classroom setting, at home, or as an afternoon/weekend activity. This activity can be used with 1 student or a group of students from 4th grade to 8th grade. It can even be used at the high school level. Learn how I would use it with high school and college level students. 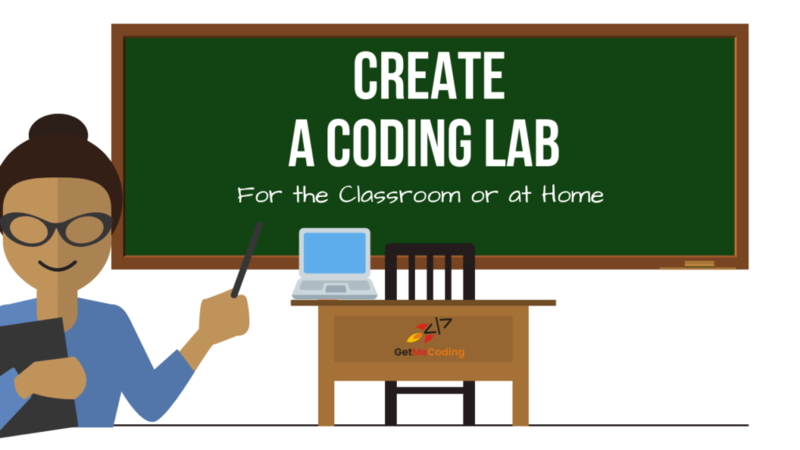 What is a coding lab activity? It is a series of activities that follows a time-tested process that software developers have been using for decades. 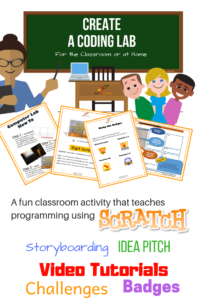 It has students plan, design, and develop a coding animation or game using the free block programming tool known as Scratch. If you are interested in having me be the instructor, head over to the online course where I work with students and teachers as they take this completely online. This activity can be run in a variety of different formats. I provide one format that can be offered over the course of a week. Storyboards are great at capturing an idea and then putting the steps in a logical order so that it makes sense. 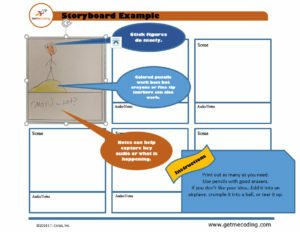 A paper or digital storyboard gets your students to understand everything starts with a plan. I have created a series of video tutorials that allow students to work at their own pace. In each video tutorial students are introduced to concepts and techniques found in software development. 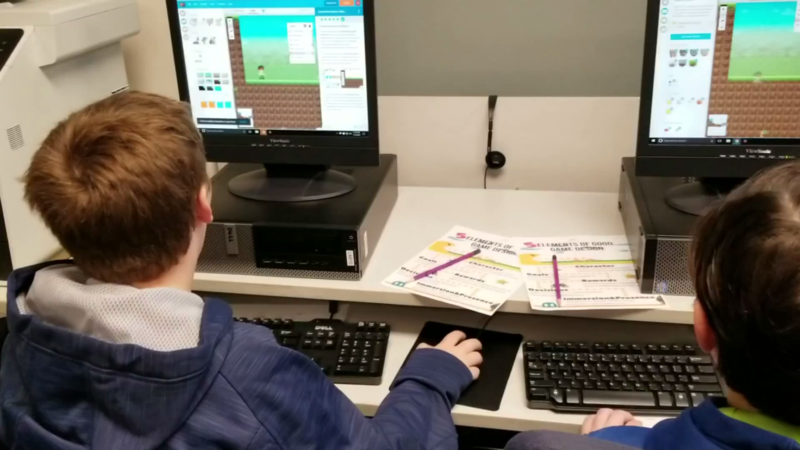 In a nutshell, they will learn about programming (coding) control structures and logic as they make graphics move, plays sounds, sensing a a variety of others. 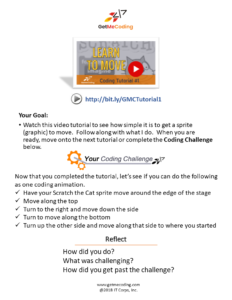 As students complete each video tutorial they can work on a coding challenge associated with the respective video. Here they flex their thinking muscles as they expand on the concepts demonstrated in the video. Along with the coding challenges, each tutorial has students reflect by answer a series of questions geared at learning how to code. 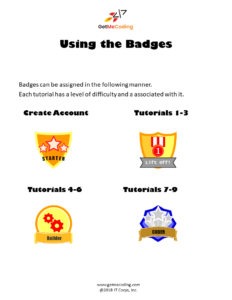 Badges are earned at various points as they move through the video tutorials which build in complexity. The badges are provided as part of GetMeCoding.com’s learning system.